Marty’s photo of the day #2853: Wild turkeys are just rude! A rafter of them live next to my house, along with a few wild peacocks. The peacocks are incredibly shy. In fact, I’m not even positive how many there are. While I’ve been able to photograph the peacocks a few times, I’ve never been able to capture what I would call a first class image. This photo is from a few years back. I had stalked a fast-moving peacock across my property, determined to get a good picture. But, no! The turkey had to photobomb the shot. 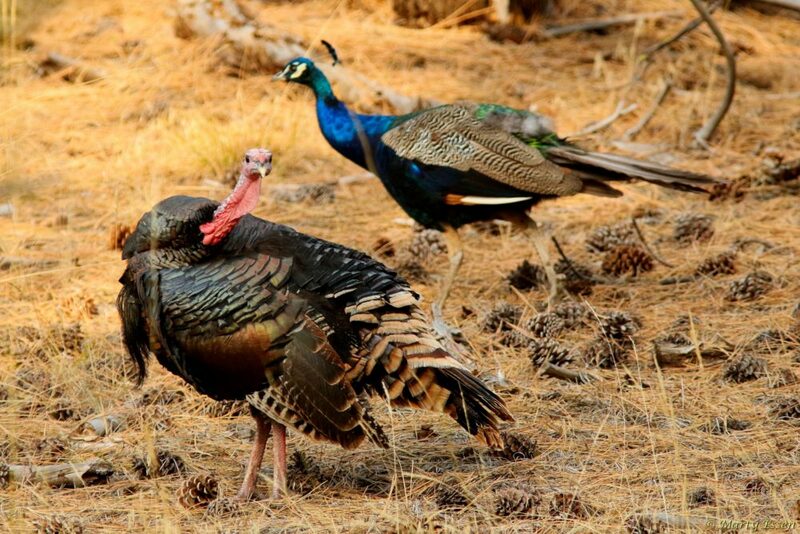 FYI: Neither turkeys nor peacocks are native to Montana. But you know what? They don’t care, and they like it here.